There's something about a stunning work of art that takes your breath away; and that's exactly what the Aminah Abdul Jillil Limited Edition Zoey Bootie does. We want to live in these shoes, we want to die and be buried in them and take them to the afterlife. 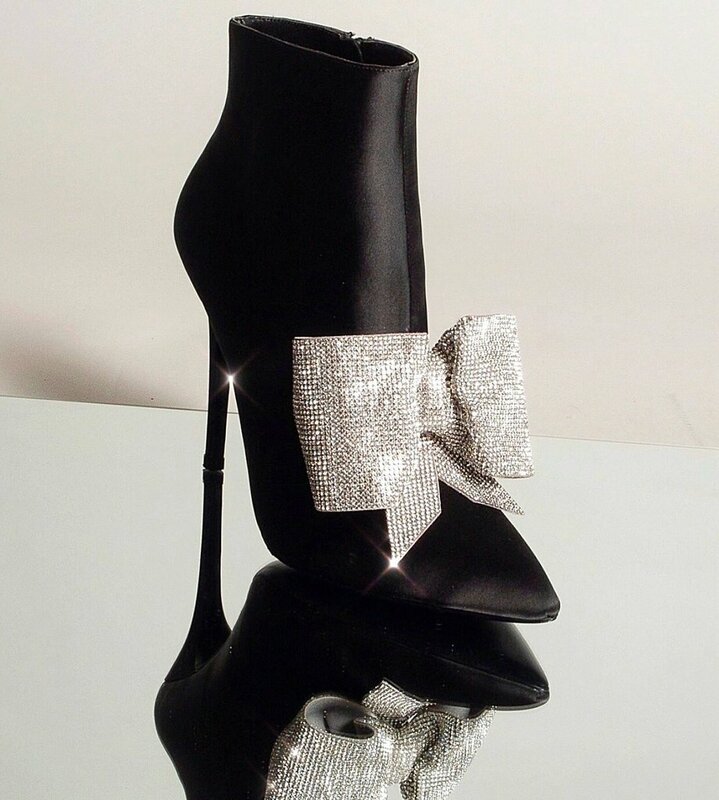 This gotgeour boot ravages my very shoe loving soul with its satin upper, pointed toe, side zipper closure and of course its statement-making large crystal bow detail that dominates the vamp. With these luxury beauties on, you can't help but be stared at. We promise the envy will be very real. Get her for $498.00 on www.aminahabduljillil.com.